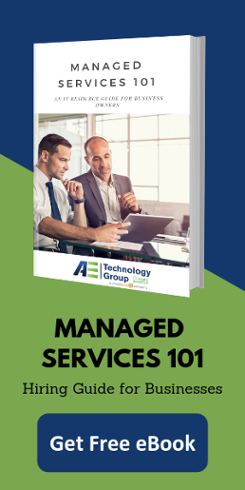 A member of your IT team–or, worse, your single IT guy–isn’t performing the way you want them to perform in their daily job duties. Firing that employee, however, is a little frightening. What happens if they destroy valuable data or mess up important systems before they go? Firing your IT guy the right way can help protect your data and help you feel safer. Many small businesses–and even medium-sized businesses–have a single employee to take care of all their IT needs. Unfortunately, that means that a single employee has access to all of that data! Make sure you have a “crap hit the fan” plan in place in case your IT professional suddenly needs to be fired or suddenly leaves the business. Don’t wait until a disaster is brewing to decide how you’re going to handle those issues. Ideally, in their exit interview, your IT guy will provide you with all the passwords you need to access the system, which you can then immediately change. If it’s an amicable parting, you probably won’t have to worry about any ugliness. On the other hand, if it’s an unexpected firing, your IT guy may refuse to provide you with that information. Don’t worry! This might make your job a little more difficult, but it’s not impossible, either. If you’ve worked with a single tech in the past, you may not have a backup team on the premises. Bring in someone from the outside! Contract an outsourced tech team to come in, change your passwords, and protect your valuable data, especially if you’re worried that your former tech may have gone off the rails. Encourage them to take steps to protect your vital data, including locking the former tech out of the system. Do you need a tech team to offer you help after filing your IT guy? Contact us today to learn more about the services we offer and how we can help.